The TDC lettering walk on Sunday, May 19 was a gray, rainy mess. Although ﬁve participants stuck it out to the end, it was a miserable day and the new signage gems that we found in the Woodhaven and Richmond Hill neighborhoods were overshadowed by the difﬁculty of photographing them in the drizzle. Not only was my camera wet but so were my glasses. I had no idea what I was even looking at as I took photographs—and the results were predictably fuzzy. This was especially so for the remnants of a sign advertising the Alexandria, presumably a 1930s hotel, that was hidden on the side of an apartment building flanking the Jamaica Avenue el at about 94th Street. Consequently, I vowed to return to the two neighborhoods as soon as the weather turned nicer. That was Sunday, May 26. This time I got many good photographs and even discovered some more signs of interest, chief among them was the headquarters of Boundary Fence & Railing Systems at 131st Street and Jamaica Avenue—beyond the stopping point for our TDC tour. 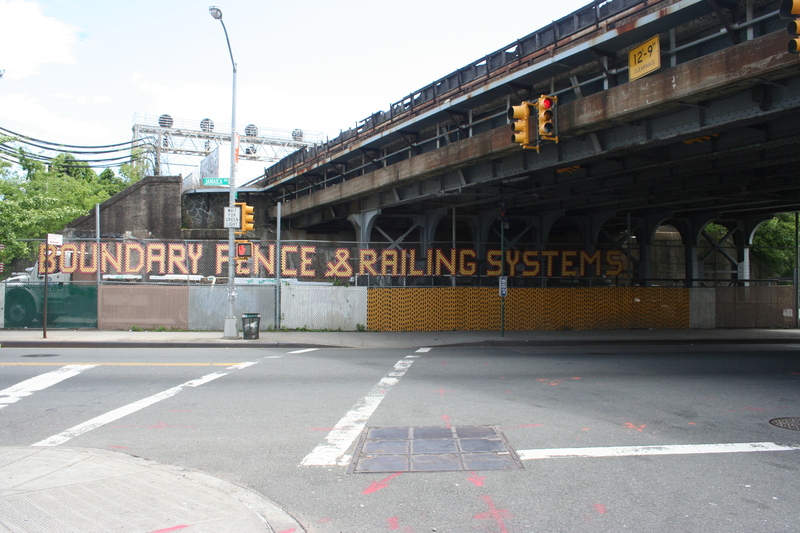 Boundary Fence & Rail Systems, Richmond Hill, Queens, New York. Photograph by Paul Shaw (2013). The reversed ampersand and the change in scale give the sign a warm, vernacular touch. The red outline provides a bit of pizzazz, though it is unclear whether gaps in it—see the bottom of the stem of the R for instance—are intentional or are the result of some of the plastic elements falling out or being stolen. 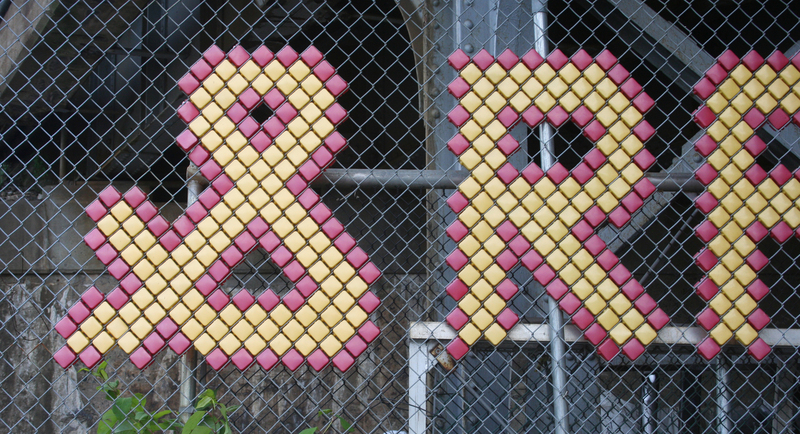 Backward ampersand. Detail of the Boundary Fence fence signage. Photograph by Paul Shaw (2013). 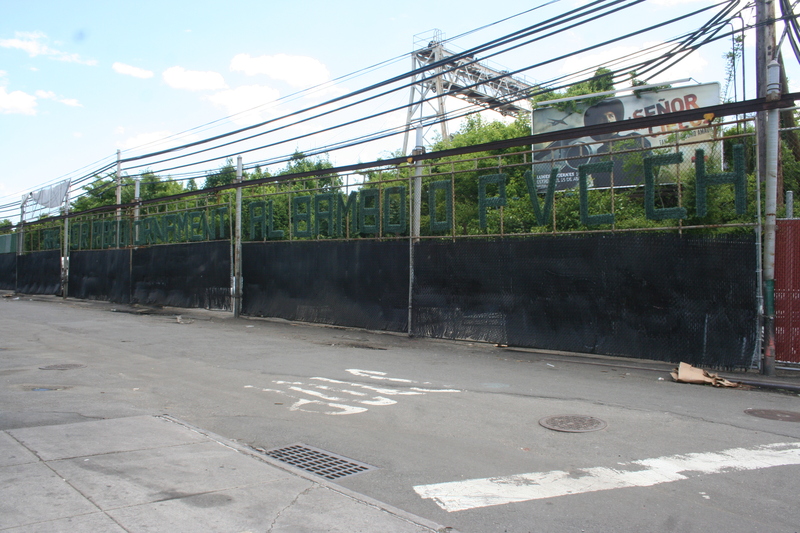 The company makes other kinds of fence signage as the fence on the 132nd Street side of the compound indcates. I am not sure what the entire sign says beyond “…Ribbon Ornamental Bamboo PVC….” The letters seem to be made of ‘astroturf’, surely a material that Sagmeister would embrace. “Ornamental Bamboo PVC” signage by Boundary Fence & Railing Systems, Richmond Hill, Queens, New York. Photograph by Paul Shaw (2013).